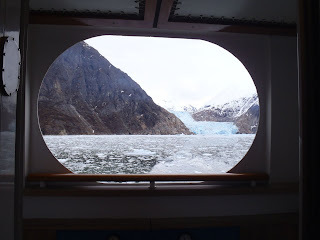 Both are glacial fjords, but Glacier Bay is after all a National Park with several major tidewater glaciers, including the magnificent Margerie Glacier. 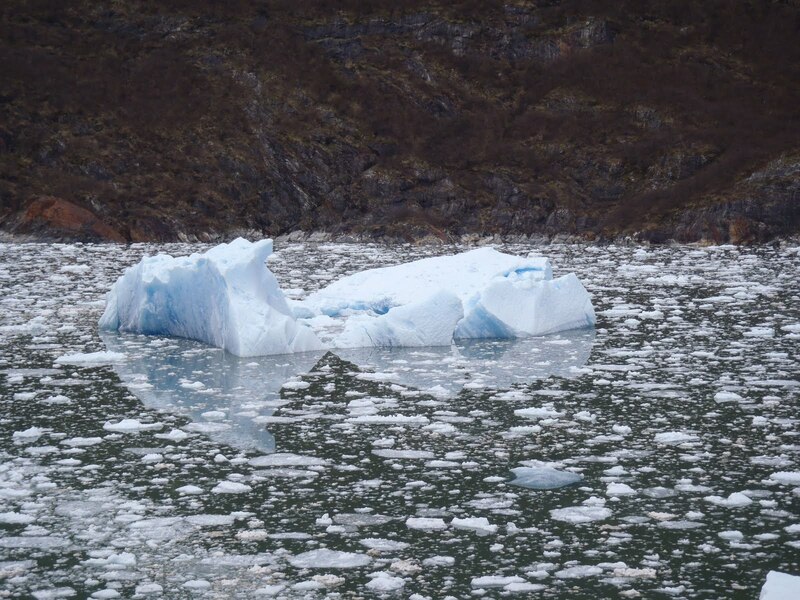 An image search for Glacier Bay turns up incredible photographs. 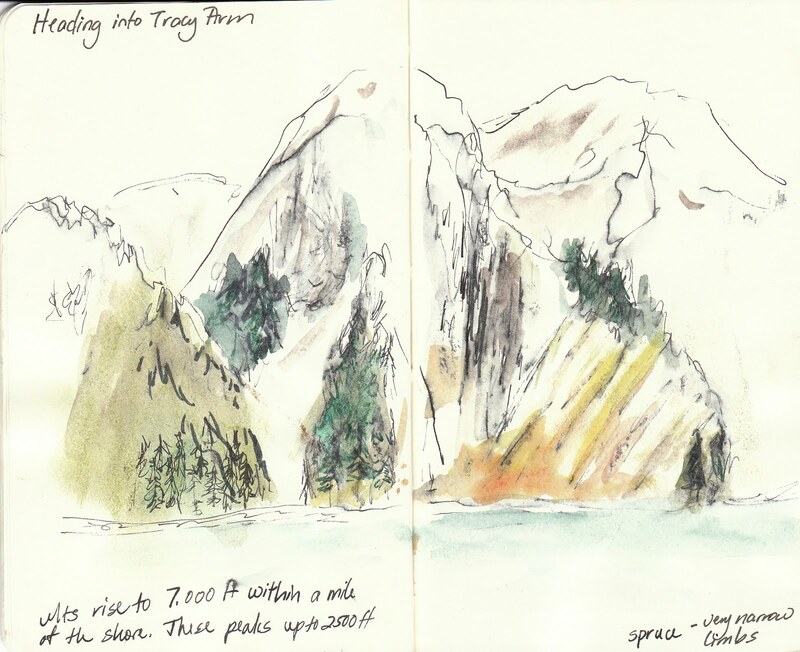 Meanwhile, Tracy Arm, part of the Tongass National Forest, only has a pair tidewater glaciers - the North and South Sawyer Glaciers. 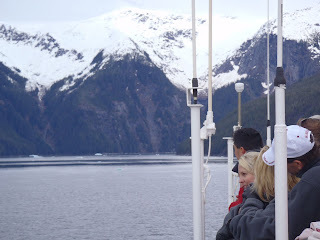 Heading into this cruise I wasn't quite sure how much to expect from Tracy Arm. I shouldn't have worried! Tracy Arm was every bit as incredible. First, for anyone who's never entered a glacial fjord, it's like a trip back into time. 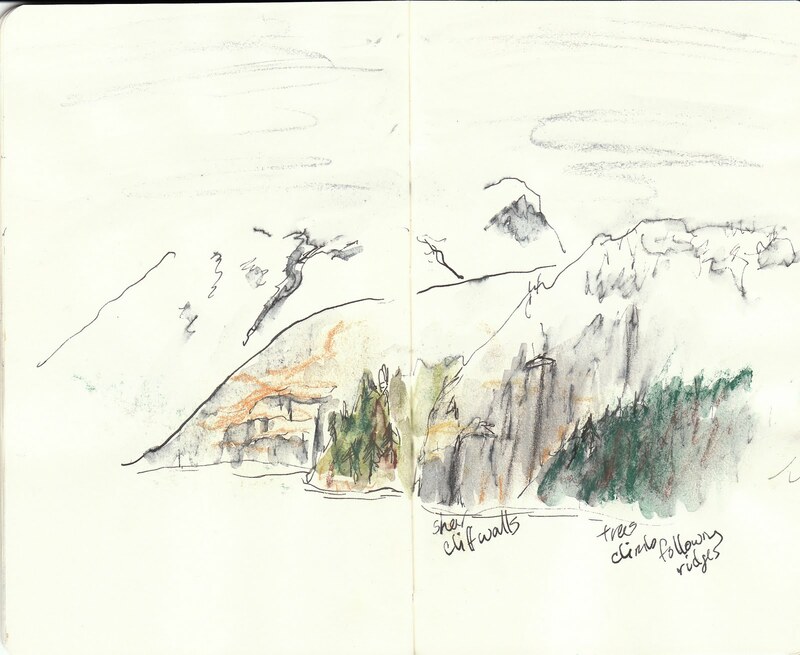 Entering the fjord, majestic spruce forests line the mountains, climbing all but the steepest ridges. The further into the fjord you go, the smaller the vegetation becomes as you encounter ground more recently covered by glacial ice. 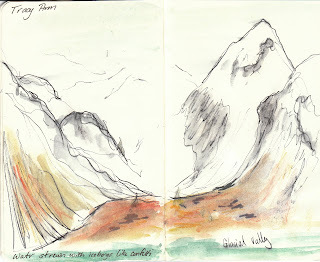 Above us, the mountains show clear signs of glacial scouring - deep groves and ridges carved into the granite of the cliff faces. 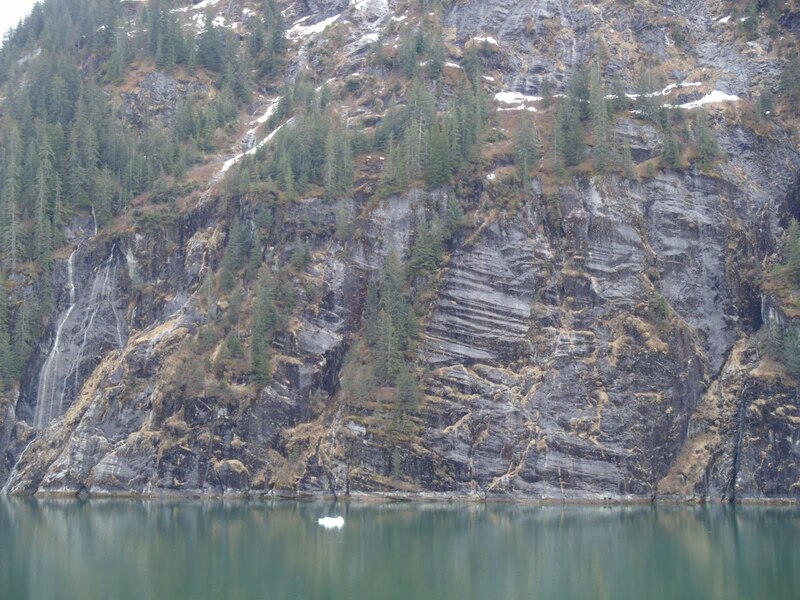 Mountain goats ramble along these faces the way we might stroll down a sidewalk. Don't have any pictures of mountain goats, but we saw several! Note the changing color of the water! 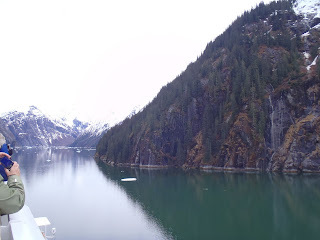 Around us, the water changes color from a steel grey/dark blue, to a deep, milky green as it's infused with glacial silt. 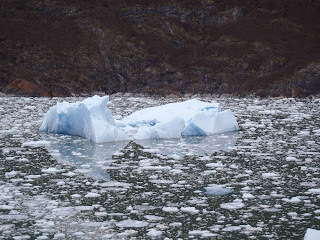 And ice appears; first solitary floes, then more and more until the water is filled with ice. I don't have a lot of these pictures, because my camera battery gave up the ghost about this point - I had to run down to the room to charge it. 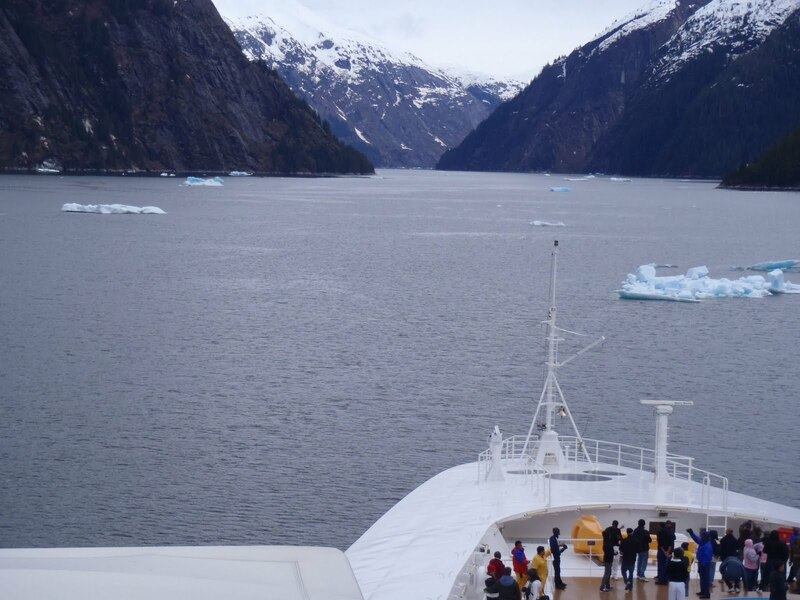 Luckily, by the time we reached the Sawyer Glacier, it had recharged! And last - a picture I snapped from our stateroom when I ran down to reclaim my camera. For Disney Cruisers - we had a 6:30 reservation Palo's that night and I have to say the timing couldn't have been more perfect! 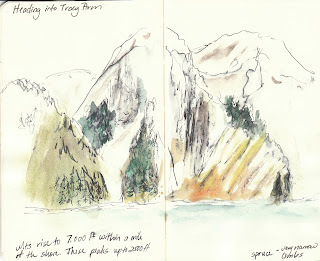 For Lynnie - here are four sketches of Tracy Arm. I only sketch on vacation, really, so don't expect too much! I'd learned my lesson with the sketchbook and used every other set of pages, so no bleed throughs this time. 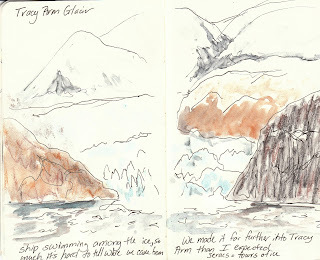 Just for fun, here's a link to some of my Alaska sketches (including the Margerie glacier) from September. And I love these little pocket blank books. I will say that they are a really fun way to take in the scenery, and add little notes about what you saw/heard/felt while you were there. 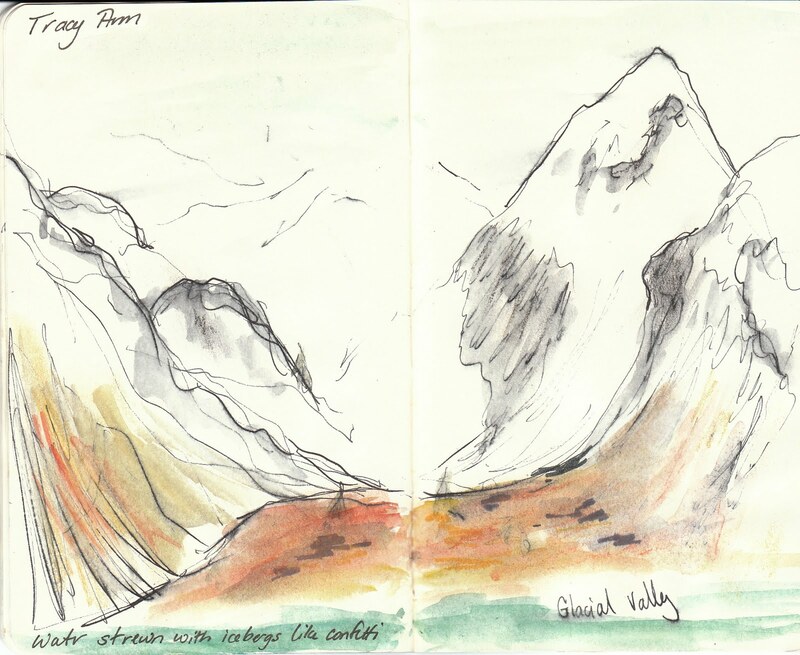 I'm a terribly unsuccessful scrapbooker, but I do enjoy flipping back through my travel sketches.